Running an apartment complex in Miami isn’t easy. A lot goes along with being an apartment manager, such as screening and handling tenants, taking care of repairs around your property and advertising your apartments for rent. One part of apartment managing that you might not have put a whole lot of thought into is security, but it is important to make sure that your Miami apartment complex is safe and secure for yourself and your tenants. Therefore, it’s a good idea to find out about the best surveillance systems for apartment complexes in Miami so that you can make any necessary changes. Why is Apartment Complex Security in Miami So Important? 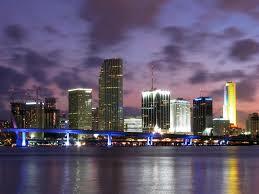 Keeping a safe and secure apartment complex in Miami is important on many levels. First of all, you obviously do not want anything bad to happen to your apartment; if vandals come along and damage the place, for instance, you could be stuck paying out a lot of money in repairs. This can definitely reduce your bottom line and make it much harder for you to make money with your apartment complex. Next, you should think about your tenants. Those who currently live in your apartment complex surely will not feel safe if they feel as if something is going on or if they find out that crimes have been being committed on site, and you will also develop a reputation for not running a safe and secure apartment complex. This can not only cause your current tenants to want to move out, but it can also make it difficult for you to find new tenants in the future. You also have to think about things like how you will personally feel if people in your apartment complex are burglarized or hurt because of crimes committed in your complex, and you should realize that you won’t be able to charge the same amount of rent for your apartments if they aren’t deemed as safe. Therefore, it is certainly worth your while to install surveillance cameras and take other necessary steps in order to make the complex as safe as possible. Luckily, there are quite a few surveillance camera system options for apartment managers in Miami. For instance, you can go for a traditional surveillance camera system that utilizes wires, or you can look for one of the newer and more modern systems that is completely wireless. The choice is completely up to you, but it is important for you to put a bit of thought into the surveillance camera system that you are investing in. 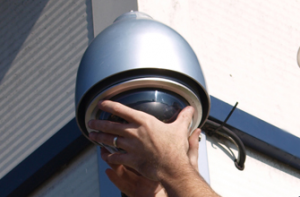 By choosing the right system, you can help ensure that your complex is as safe as possible, and you can actually save a lot of money in the long run because you will be able to enjoy the benefits of your surveillance system for years to come. Therefore, you might want to consider a wireless system first and foremost. With your wireless system, you don’t have to worry about the complicated installation that goes along with running cables and wires everywhere, and you also don’t have to worry as much about your system being vandalized. Wireless systems are quick and easy to install, so it shouldn’t take you long to get it put in your apartment complex. Along with looking for wireless security cameras for your apartment complex, you will also need a digital video recorder so that you can record and watch the surveillance footage that you capture. You will also have to invest in a monitor that you can use while watching your footage. One thing to keep in mind when you buy your digital video recorder is that you will probably have to have a lot of cameras in order to monitor the entire complex; this means that you will also need a digital video camera that is compatible with multiple cameras. It is also essential to take your time when you are picking out the cameras that you need. You should make sure that they will capture good footage both during the day and when it’s dark out, and you should also ensure that they will be compatible with your system. When shopping for your surveillance camera system, consider shopping with a company that focuses on selling security-related parts and equipment instead of shopping at a regular retail or electronics store. Doing so will give you more options when it comes to high-quality equipment, and you will also be able to get the help that you need from the experienced individuals that work there. Having surveillance cameras in place all over your apartment complex is an excellent way to deter people from committing crimes and to catch people in the act of doing things that they shouldn’t. However, you shouldn’t fully rely on security cameras for everything. Having burglar alarms in place, along with your surveillance cameras, can make a major difference in how safe and secure everyone is in your apartment building. Burglar alarms are relatively affordable to install. Although you might have to shell out a bit of money up front in order to have burglar alarms installed in and around your apartment complex, the monthly rates for monitoring services are typically pretty reasonable, especially when you consider the peace of mind that goes along with having these burglar alarms in place. However, it is important for you to make sure that you do pay for monitoring. If you don’t, there’s a good chance that no one will do anything when they hear the alarm going off or that they won’t know how to handle the situation. When alarm monitoring, however, the local authorities, as well as you and anyone else that you ask to have contacted in this situation, will be alerted in the event that one of your apartment complex’s burglar alarms goes off. Then, the local authorities can handle the situation properly, and you will have surveillance cameras in place as well that will hopefully capture video evidence for you. If you are wondering where you should install burglar alarms in your apartment complex, you should know that there is really no such thing as having too many alarms. Placing them in your office and other common areas of your apartment complex is a good idea, and you should even consider thinking about installing separate burglar alarms in each apartment. Although you might have to pay a little bit more up front in order to do so, your tenants are sure to feel much more comfortable if they know that you have taken all of the steps that you could in order to make their apartments as safe as possible. Keeping your common areas under video surveillance is essential so that you can always see what is going on. Burglar alarms should also be utilized when the common areas are closed. There are other things that you can use along with burglar alarms and security cameras in order to keep the common areas in your Miami apartment complex secure. Locking certain rooms and buildings and only giving the tenants the keys can help cut down on unauthorized people getting in, or you can consider using passcodes. Fences can be used to block off certain areas so that they are less accessible and welcoming to outsiders, and hanging up “No Trespassing” signs can always help. Keeping all of the common areas well-lit, making sure that all rules of the area are clear, posting signs that state that the area is under video surveillance and installing burglar alarms and surveillance cameras are all good ideas that can work well together in order to keep the common areas of your Miami apartment complex safe. Also, establish a relationship with your tenants and let them know that they are always welcome to let you know if they feel uncomfortable or see something suspicious can really help you learn more about what is going on and can set the tenants’ minds at ease. You don’t just have to worry about your building, the separate apartments and any common areas of your Miami apartment complex. You also have to make sure that the parking areas in the complex are as safe as possible. Unfortunately, parking lots and other parking areas can be tempting for thieves, vandals and others who have bad intentions, and a dark parking lot is much more susceptible to crime than other parking areas. This means that you need to do something to help prevent thieves and other individuals from committing crimes in your parking areas. The first step is to install plenty of bright lights around your parking area. This will make people feel more comfortable and safe, and it will also scare away a lot of criminals who will be concerned that they can be easily spotted. Luckily, it’s affordable to install lights, and you don’t even have to worry about paying a lot of extra money on your monthly electric bill if you install energy efficient lighting. Although installing lights in the parking areas of your Miami apartment complex will help, it truly won’t be sufficient. For best results, you also need to install security cameras around the apartment complex parking lot so that you can keep an eye on things. Make sure that you install a sufficient number of cameras so that you don’t have to worry about missing anything, and make sure that the cameras that you choose offer a good quality and that they are well-protected so that they will not be damaged by the elements. Also, remember that you will need cameras that have night vision technology so that you can see what is going on in the evenings and nights at your complex. Even though you have probably thought about protecting certain areas of your apartment complex, you might not have put a lot of thought into how you will protect each individual apartment in your complex. However, making a point to make each apartment as safe as possible will make for a safer area and happier tenants. As stated above, installing burglar alarms in each apartment is a wonderful amenity that will help make your Miami complex more safe and that will make your tenants very happy and appreciative. However, there are other things that you can do for safety and security of each unit as well. For instance, make sure that you don’t skimp on locks and deadbolts; instead, look for the highest-quality ones that you can find for each apartment door. Also, consider installing surveillance cameras that have a clear view of who is entering and exiting each apartment. Then, you will have the proof that your tenants need in the event that someone breaks into their apartment or commits other crimes. If you are someone who lives in an apartment complex in Miami rather than someone who manages one of these complexes, you might be worried about security. Although talking to your property manager is a good way to get some changes made, it is possible for you to do things on your own. For instance, you can always invest in a wireless security camera system that you can install yourself. With a wireless system, you don’t have to worry about violating your lease by drilling holes in your walls or ceilings, but you will still be able to keep an eye on what is going on in and around your apartment. There are even some burglar alarm companies out there that specialize in helping apartment dwellers to keep their apartments safe without having to sign lengthy contracts and without causing you to violate your lease by damaging your apartment while installing the equipment. Checking into these things can bring forth positive results, and a lot of these options are surprisingly affordable for apartment dwellers. Contact us to know more about our professional installation services.